Souvenirs, Souvenirs! 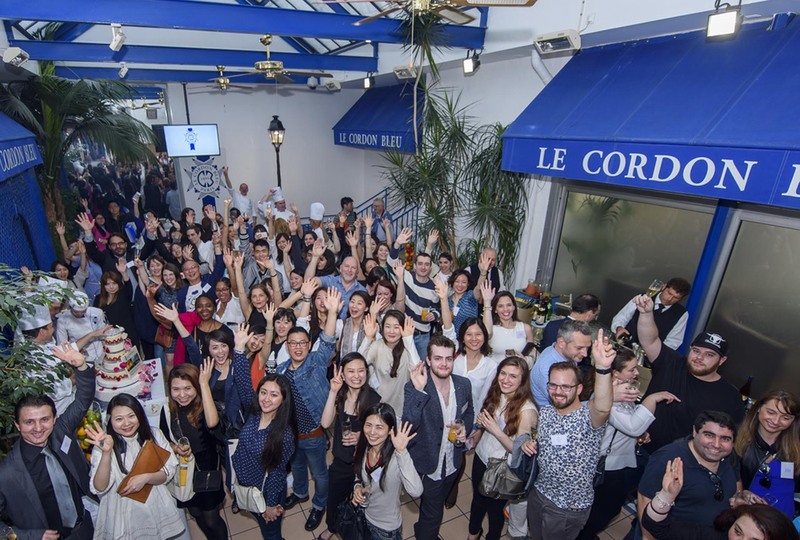 On June 6, 2016 took place the last Le Cordon Bleu Paris alumni party. For this occasion we welcomed more than 150 alumni of all Programmes and classes. The alumni shared a cocktail with the team, Chefs and Professors of Le Cordon Bleu Paris, a wonderful time together! Thus, Mr Bruno Jeusselin, Cuisine Diploma 2012 and caterer in Paris "Traiteur Jeusselin" prepared delicious cured meats platters. Mr Pierre Dutaret, Cuisine Diploma 2012 and owner of Farago and Canard & Champagne served black pudding with apples and piquillos Pintxos together with duck magrets to all our Alumni. Finally, Mr Luis Machado, Cuisine Diploma 2011 and owner of the food truck Aji Dulce introduced all guests to Venezualian cuisine preparing shot glasses of chicken and avocado called « Reina Pepiada ». He also served « Tequeños »: delicious fritters filled with fresh cheese topped with a "guasacaca" sauce. This evening was the occasion for them to say 'goodbye' to their school where they were all trained. In June 22, 2016 Le Cordon Bleu Paris will move in a new institute by the Seine, in front of the Statue of Liberty.